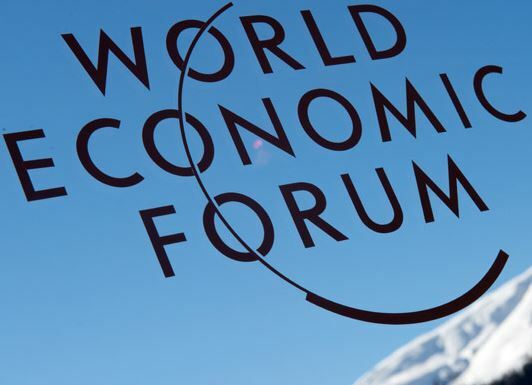 While currencies crumbled in emerging markets ranging from Turkey to Argentina, the world’s mostly self-appointed leaders and assorted hangers-on gathered in Davos, Switzerland to assure global audiences that the future looks bright and promising indeed. Keep Calm and Carry On. Over a three day span, global issues – even the most pressing ones – were summarily dealt with in ninety minute sessions at the end of which participants unfailingly reported that exciting solutions are at hand or in the works. After all was said and little done, central bank governors, finance ministers, bankers and other financial geniuses were unanimous in their verdict: All are “cautiously optimistic”. In politics this phrase usually implies that whoever employs these words has no clue as to what the future actually holds in store. While climate change, land use, green investment, and countless other serious issues passed review, the only true shocker to appear on the Davos stage was largely hushed over. Making clever use of tricky statistics, British development charity behemoth Oxfam unveiled a report that showed the world’s 85 richest people holding assets equal to the combined wealth of the 3.5 billion poorest of the earth’s inhabitants. Extrapolating these numbers, Oxfam also showed that the wealthiest 1% of the globe’s population is worth 65 times as much as the poorest half of the world. Historically, revolutions have occurred over a lot less. Insofar as these uncomfortable numbers were discussed at the forum, comments were dismissive. Pundits, of whom there were a great many in Davos, drew attention to the fact that most wealth takes the form of stocks. These cannot be instantly monetized lest their value evaporates. Then, predictably enough, the shipwrecked sailor made an appearance – throat parched by thirst amid an ocean of water. Billionaires may assuage their conscience with the notion that they may look at their paper wealth, but cannot actually spend it. One might even feel sorry for them. It is no fun to rain on anyone’s parade, but this year’s gathering in Davos – marked as it was by faux optimism and self-delusion – must surely rank as a low point. As the severely battered European economies slowly emerge from their US inspired financial crises, the emerging economies seem headed in the opposite direction. It’s the changing of the guard. Argentina may be cried over yet again. An impressively inept government seems hell-bent on wrecking the economy. The Argentine peso is now on a downward slide to depths unfathomable, capital controls notwithstanding. Venezuela is not doing any better while the continent’s erstwhile star-performer Brazil is creaking at the seams. In Turkey, the suffering lira is being propped up by high jump in interest rates. However, this week the lira resumed its slide over inflation concerns. Disconnected from these developments, but worrying all the same, is the news from Great Britain and the United States that most bankers insist on handing out insane sums of money in bonuses – now often called “role-based allowances”. It gets worse. The role-based allowances now in vogue count towards fixed pay, even though they are adjustable. By increasing the fixed pay level, the bonus cap goes up as well, allowing banks to hand out yet more money. The interesting question the World Economic Forum did not answer – or even ask – is why we collectively insist on not learning from past mistakes. By now banks should know better than to excessively reward those who peddle in hot air packaged as exotic investment vehicles. By now countries such as Argentina and Venezuela should know that solid governance is not served by engaging in flights of fancy. Brazil might be expected to remember that corruption is evil and sustainable development requires more than cosmetic change (para inglês ver). Now that the powers that be, and those that long to be, have returned home from Davos – after duly expressing their “cautious optimism” – it’s back to the grindstone: The world’s poor may continue to rally for the few crumbs while those 85 exceedingly rich folks stare some more at their vast wealth no doubt wondering how to add to it before the rainy season arrives.